1 Lord, you have been our dwelling place throughout all generations. 2 Before the mountains were born or you brought forth the whole world, from everlasting to everlasting you are God. 3 You turn people back to dust, saying, “Return to dust, you mortals.” 4 A thousand years in your sight are like a day that has just gone by, or like a watch in the night. 5 Yet you sweep people away in the sleep of death—they are like the new grass of the morning: 6 In the morning it springs up new, but by evening it is dry and withered. 13 Relent, Lord! How long will it be? Have compassion on your servants. 14 Satisfy us in the morning with your unfailing love, that we may sing for joy and be glad all our days. 15 Make us glad for as many days as you have afflicted us, for as many years as we have seen trouble. 16 May your deeds be shown to your servants, your splendor to their children. 17 May the favor of the Lord our God rest on us; establish the work of our hands for us—yes, establish the work of our hands. The psalm is entitled “words that Moses prayed”. However, that does not mean that Moses actually wrote the psalm. Some believe he did while other think that later writers used words and ideas from “the Books of Moses,” the first 5 books of the Bible. This psalm reminds us of Genesis 3 and Deuteronomy 32. The psalm uses “words that Moses” said, from these books. The psalm is in 4 parts. The first 3 parts are in verses 1-12. They could be about anybody in the world. They are true for all of us. But the last part, verses 13-17, is about God’s people, the Jews. Something bad had happened to them. They are praying that God will be good to them. We do not know what this bad thing was. Some think that it was when the Babylonians conquered them and took them to Babylon. We call this “the exile”. But it could be anything after the time of Moses! It is believed that this psalm refers to the sentence passed on Israel in the wilderness in Numbers 14. The favor and protection of God are the only sure rest and comfort of the soul in this evil world. As Christians, we see this today as the refuge in Christ Jesus where we go to be repair. We are all dying creatures, all our comforts in the world are dying comforts, but God is an ever-living God, and, as believers, we find him so. When God, by sickness, or other calamities, destroys men, God also calls those to return to Him to repent of their sins, and live a new life. A thousand years are nothing to God’s eternity: between a minute and a million of years there is some proportion; between time and eternity there is none. All the events of a thousand years, whether history or the future, are just as important to God as what was done to us in the past. You and I are always God’s immediate priority. Our belief in the resurrection, the body and soul returning and uniting again, is as if we are asleep. We have more than a short and quickly-passing life, as the waters of a flood. 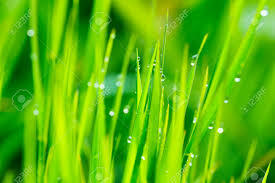 We are not like the grass, which will wither of age or be destroyed by disease or misfortune. We have an awakening and an everlasting existence. To learn true wisdom, we must pray for God’s guidance, beg on our knees to be taught by the Holy Spirit; and place our hope in Christ for comfort and joy of being in God’s favor. The Israelites prayed for the mercy of God which would be sufficient to balance against their former griefs. They prayed for the grace of God to produce the light of good works in them and put gladness into their hearts. They prayed that the work of their hands was guided by God and His purpose. Our call is not to waste our precious, fleeting days in pursuit of life’s pleasures. For those leave the possessors for ever poor. God calls us to seek the forgiveness of sins, and calls us to an inheritance in heaven. What would the basic constructs of our faith be if you carefully analysed these verses? In other words, what do we believe? God’s perspective is eternal and mans is generational–What then is our responsibility to the following generations? This Psalm states that man cannot reach God without His guidance, or the guidance of the Holy Spirit. Why? If our life is but a fleeting moment in eternity, then where should one’s priorities be focused? 34 Hearing that Jesus had silenced the Sadducees, the Pharisees got together. 35 One of them, an expert in the law, tested him with this question: 36 “Teacher, which is the greatest commandment in the Law?” 37 Jesus replied: “‘Love the Lord your God with all your heart and with all your soul and with all your mind.’ 38 This is the first and greatest commandment. 39 And the second is like it: ‘Love your neighbor as yourself.’ 40 All the Law and the Prophets hang on these two commandments.” 41 While the Pharisees were gathered together, Jesus asked them, 42 “What do you think about the Messiah? Whose son is he?” “The son of David,” they replied. 43 He said to them, “How is it then that David, speaking by the Spirit, calls him ‘Lord’? For he says, 44 “‘The Lord said to my Lord: “Sit at my right hand until I put your enemies under your feet.”’ 45 If then David calls him ‘Lord,’ how can he be his son?” 46 No one could say a word in reply, and from that day on no one dared to ask him any more questions. The love of God is the first and great commandment, and the sum of all the other commands. Our love of God must be sincere, not just in word. All our love is too little to bestow upon God, therefore, all the powers of our soul must be engaged and focused for God. Jesus adds, to love our neighbour as ourselves, is the second greatest commandment. Here, Jesus is telling us that self-love is corrupt and the root of the greatest sins. There is, however, a self-love which is a rule we must follow: we must also have concern for the welfare of our own souls and bodies and we must love our neighbor as truly and sincerely as we love ourselves. In many cases we must deny ourselves for the good of others. Then Christ baffles his enemies, asking what thoughts they had of the promised Messiah? How the Messiah could be the Son of David and yet also David’s Lord? Jesus quotes Psalm 110:1. If the Christ was to be a mere man, who would not exist till many ages after David’s death, how could his forefather call him Lord? The Pharisees could not answer Jesus’ question but only agreeing that the Messiah is the Son of God, and David’s Lord equally with the God the Father. Hence the formation of the Christian faith: Jesus became God manifested in the flesh; in this sense he is the Son of man and the Son of David. It is through Jesus we have our hope and salvation because He is God. Is Christianity simple or complex? Why? Why is Christ so important, so critical to our faith? What has Christ done to the Jewish belief that good works through following the law is the way to eternal life? What would a church look like inside if all of its members loved God with all their heart and soul and mind–and loved each other as much as themselves?